You'll get an up close and personal view of the Great Wall on this hike. The first leg of your journey begins with the Gubeikou-Jinshanling-Simatai hike, a classic and popular trek that is suitable for all ages. However, unlike most people, the Great Wall will serve as your personal hotel as you sleep under the stars in a Great Wall watchtower. 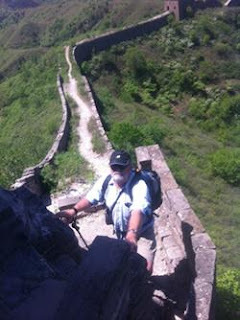 That's right, you get to camp out on the Great Wall of China! We'll complete your program by hiking from Huanghuacheng-Xishuiyu, an often overlooked Great Wall trek that features rugged wild wall as well as dramatic vistas and stunning scenery.